Are you someone that doesn’t feel very confident telling your own career story? Have you practiced it and rewrote it in the car, in the shower, before you go to bed, assessing each detail to get your story just right? Does it consume too much of your time and energy and diminish your ability to be present in your life? When you really think about it, does it feel like you’re defending yourself? When you tell that story, is there any subject in the story who would be inclined to defend themselves if they heard you tell that story? Does your voice go up? Do you get a little more animated? Have you ever been uncomfortable hearing somebody go into “dirty” details about a previous job? Did you ever find yourself doubting if the person even believed their own story or if they’re making it up to make himself sound better? As observers of these stories, we are subconsciously human lie detectors, automatically assessing the authenticity of someone’s story. It can take an effort to listen solely with compassion and empathy. 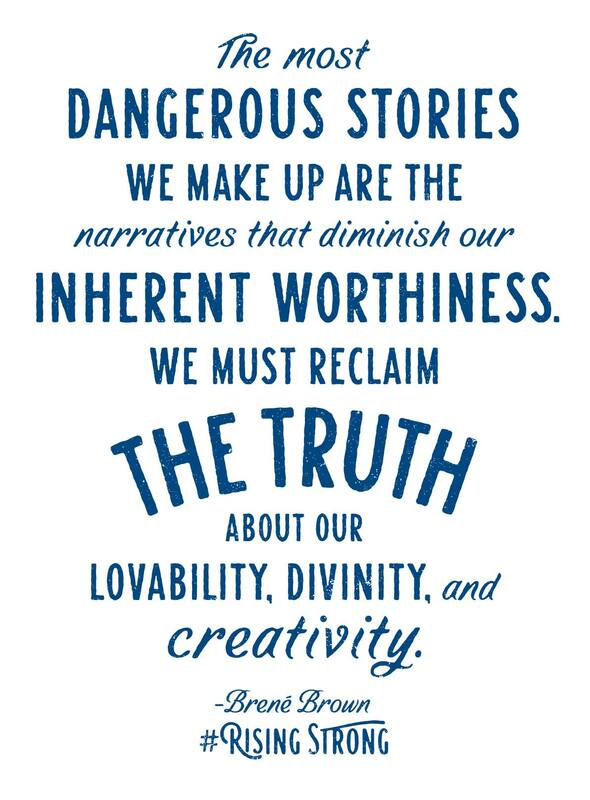 However, when we are the storytellers, we are essentially blind to how our stories are perceived. Since it is our brain’s natural inclination to defend its own “natural” responses, most people don’t see a better way to tell the story, but there is a better way! As a student of Landmark Education, I learned that our primal motivation in communication is to make ourselves look good and, in doing so sometimes, make others look bad. The only way to stop this cycle so that you can be your authentic self and instill true trust and confidence is to acknowledge our nature, be accountable, and overcome you story. Another added bonus of being authentic and instilling confidence is job momentum in the form of increased employment leads and interviews that convert into job offers. Most recruiters are very skeptical; a candidate who is genuine has a large competitive advantage to one who appears to be hiding something, and most recruiters assume everyone is hiding something. The question that most concerns them is, is what you are hiding relevant to your job performance and your ability to be successful? You might’ve heard that there are two sides to every story, but what happens when your story doesn’t match up with someone else’s? It becomes a he-said/she-said no-win situation. If you are telling a story about a previous work situation that presents any kind of risk, it will be something the recruiter is going to verify. If there are any discrepancies, you are out of the running. 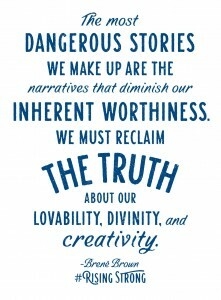 Stories that we tell ourselves really do shape our reality. We owe it to ourselves to be clear about our role in the outcomes we create. We owe it to ourselves to create stories in our lives in which we are the heroes, and in which we embody the qualities that we admire most. Vishen Lakhani, Founder of MindValley, identified six basic human needs in in his Mind Hack talk at Wisdom 2.0, which are very different from Maslow’s hierarchy of needs. The last of these needs, but certainly not the least, is a sense of control. Does that resonate with you? Is what you want most to feel a sense of control about what happens in your life? Is what you want most to feel like things will not happen to you that you don’t want to happen? What are you seeing in your life right now? If you don’t feel like you have a sense of control, do you feel like you react instead of respond to adversities? Do you feel like people around you never give you what you ask for or what you need? Do you feel like things never go as planned? The only way to get from where you are right now to where you want to be, if what you want is a sense of control and freedom to be authentic is to look deeply at yourself and how you contributed to the status of your life right now. This is not an exercise in shame. We unconsciously make ourselves feel worse all the time. When we defend ourselves in situations, and when we feel the need to de-stress or escape our lives by doing more things that are detrimental to our mental physical and emotional well-being, we are trying to escape guilt, shame, and, in essence, the reality that you created. These things, however, only enhance our sense of dread and diminish our control of our lives. The point here is to feel free and alive. Confronting yourself about how you impact your own life can be painful, but as Carl Jung stated, what we resist persists. Once you recognize your own accountability, eliminate the pain faster by letting yourself feel it fully for a short, set amount of time, like a half hour or a half day, depending on how deeply seeded the pain is. Notice even WHERE your pain is physically, and allow yourself to truly feel it. Once you feel as though you have felt as much pain as was there, consciously release it. You can do this just by stating it is so, for example, “I release my pain. Or, you can imagine putting this pain and putting your mistakes in to helium balloon and then releasing it into the air. You could write them down and burn them in a fire. Let them go, and let go of the stories that other people and circumstances beyond your control are the reasons that your life is the way it is. Having a sense of control of your life is a choice that you can simply make. It’s not just mental; it is emotional. When you empower yourself to change your life, feel that power inside you. Feel as though you are supported. Your imagination can be very powerful here. Even if you do not believe in a higher power, you can just imagine what it is like to be lucky and to have a charmed life where everything goes your way, and you will manifest better fortune. Yes, we are sometimes damaged by the actions and words of others. There’s no denying the impact that other people can have to the way that we perceive ourselves and the world around us, however we always have choice. As Eleanor Roosevelt stated, “No one can make you feel inferior without your permission.” At some point, you may have given someone permission to hurt you emotionally, and now is the time to take it back. Once you release the self-inflicted pain of your previous choices, you put your brain’s defenses at ease and you can more clearly evaluate how you contributed to an unsuccessful situation. Create a timeline of the situation starting as early as possible. If it’s a job situation, think about your first interactions with the company and your boss. Was it possible you had clues or intuitions about a possible bad outcome that you ignored? Did you misrepresent a qualification in your desperation to get hired? These things happen all the time. The only way to prevent getting stuck in a similar story and be empowered to alter your future is to really see how your choices could have been different. We can never be sure what our present would look like had we made different choices, and we are sure to make mistakes, but we owe it to ourselves to NOT make the same mistakes that we know led us to an undesirable place in our lives, careers and relationships. No employer will anticipate you being a perfect human being. In fact, they will anticipate that you have made some mistakes. Some people think that the question, “Tell us about your weaknesses,” is a trap designed to trick you into spilling your guts about how bad you are so they can eliminate you as a candidate. What an employer really actually wants you to deliver in your answer to that question is strong sense of character that you have built by making mistakes, acknowledging them, taking accountability for them, and either fixing them or learning a lesson that alters the way you approach the situation in the future. Your ability to acknowledge when you make a mistake actually presents you as less risky than somebody who blames others. When you tell a story about somebody else who is at fault, the listener projects you in the future telling similar stories about them. They don’t want to be the future subject of your blame stories. Some career coaches will advise you on what to say and how to correct your posture to address these stories, and some people may be successful using these tactics. However, we have found that what you say and how you say it is not as impactful as WHO YOU ARE when you say it. 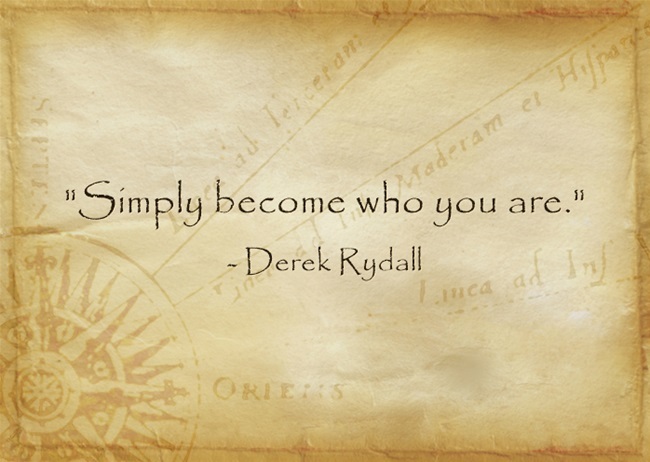 Meaning, are you coming from a good intention and are you being your best self? Once you remove the emotional charge of your previous stories, it’s time to write a new one. Please refer to our previous posts: Your Heroic Job Search, How to Use an Alter-Ego to Land a Job and Be The Rock Star for more insights on that. In some cases, less is more. This might be a difficult thing to discern for yourself. If you have questions about how to address something either in a networking situation or interviewing situation, please reach out to us. There are times when we will advise you that all you want to report are exactly the facts of what happened and leave it there. For example, when there is a downsizing, no additional details are really necessary. You don’t need to go into the conditions under which a company needed to downsize, unless you are a person who directly impacted a company’s need to downsize. Also, some people blame themselves after being laid off when it really was a blessing they just don’t recognize yet. Make sure you don’t spend eternity confronting yourself. The key is to release the pain and move forward in a better direction. We’re all human (I’m assuming,) and we all have the same tendency to protect our fragile psyches. The thing is, we don’t always see how our protection ultimately inhibits our quality of life, and even sometimes our health. Coaches shine a mirror and a light on your blind spots. Few others will. If you are lacking a sense of control and feel unsupported, the only way to change that is to recognize how powerful you are in creating your reality, CHOOSE to embrace your power, and learn how you can make better choices that align with who you really are. Until we shed the weight of the protection we carry, we don’t realize how much it has weighed us down, how light and free we can feel, and how high we can really go. A job candidate who’s in high demand is highly desirable to potential employers. The better talent they have, the more competitive they can be. A powerful and distinct brand is expressed through your résumé, LinkedIn profile and biography. Being a competitive candidate also means having an effective targeted employer campaign and being able to elicit several job offers. How you accept and turn down offers can impact your future career prospects. 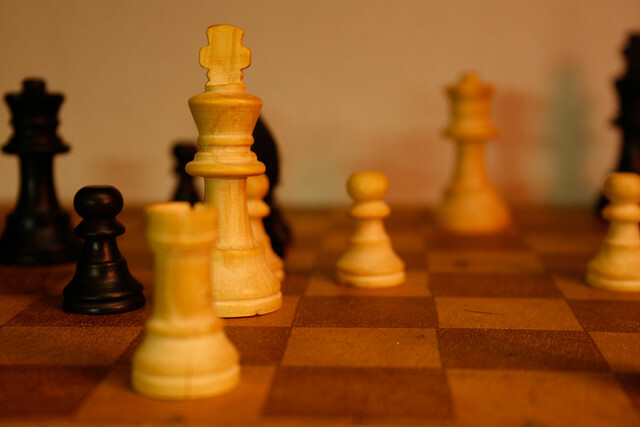 Strategic career management is like chess – you want to think several steps ahead. Let’s take a look at how this can play out. Katie is a Marketing Director who is ready to move on to a new employer. She’s highly influential on social media and she has established herself as a thought leader. Katie enjoys a mode we call “career autopilot,” where offers to interview and meet high-powered players in her industry come weekly, and sometimes daily. After confidentially letting her network know she’s looking for a new job, it wasn’t long before Katie began to receive interviews for a variety of companies. She had several job offers, but knows she’s only really interested in one company. The other companies offer her better pay and benefits, so Katie decided to play the companies in the hopes of getting the same benefits from her favorite company. Her favorite company ultimately rescinded the offer after deciding the amount of pay Katie wants is too high. The other two companies feel as though Katie manipulated them by using other offers and suspect that she had no real interest in ever accepting their offers. They also rescind, and Katie suddenly finds herself without any job offers AND with a new reputation as an unethical manipulator who will waste precious time and man-hours. Word spreads because the world is so small. Not only did Katie eliminate her current prospects, but also future prospects with these companies and many more who will learn about the games she played. Where did she go wrong? Many job seekers would envy Katie’s scenario of having multiple job offers. That said, no one wants to find themselves in a position where their attempts to negotiate better pay or benefits from potential employers backfire, and they find themselves without any job offers. 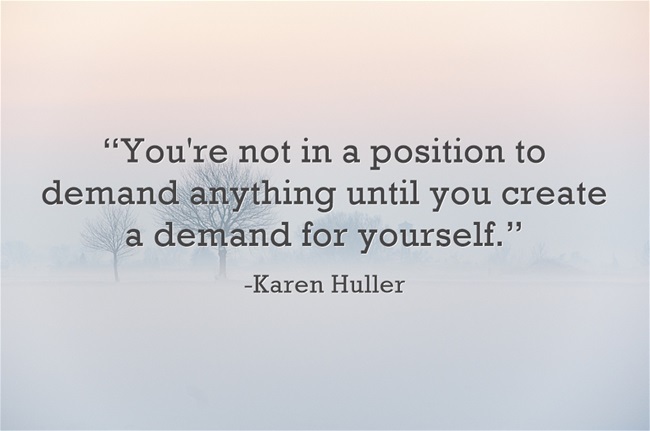 There is a way to create demand for yourself, use that demand to get competing job offers, and to negotiate what’s best for you without manipulating potential employers so that you can remain in-demand and position yourself for future career moves. Social media is an excellent tool to establish yourself as an expert and to generate demand by creating and sharing valuable content. The ability to engage a recruiter or an industry influencer as a sponsor is only a few clicks away. This shows potential employers that you’re passionate about your industry and it may even help them partially determine if you’d be a good cultural fit. A productive presence on social media where you constantly create and share valuable content for your followers can make employers want to reach out to you. That said, social media can be deceiving if you’re not careful. Being in demand doesn’t mean just having a lot of followers. Being in demand means having job opportunities that are organically generated amongst your engaged followers because you’re constantly in the spotlight. However, you’ll need to use real-world networking activities to capitalize on those opportunities and turn them into job offers. My article, “7 Steps to Powerful Introductions” details how to do this. Imagine your job leads have materialized into several competing job offers. This is what I refer to as the ultimate leverage. You have the ability to choose which job interests you the most. Before deciding to accept any job offers, you must narrow down the number of companies based on a list of your personal criteria. This allows you to focus on the potential employers you really want to work for and to prequalify them as good fits. A good rule-of-thumb to remember is that when a job meets 80% of your criteria, it’s a good indication that the opportunity is a strong fit. Our Criteria Identifier and Target Company Evaluator is a tool that can help you research a company. Having these lists help you narrow down what you really want from a potential employer and will even pair down the list of competing offers. Every person uses logic, their intuition, and their heart to different degrees when weighing these decisions, so while these tools and processes will provide you with logical input, you may still want to go with your intuition or heart. If you are drawn to a particular company or opportunity, use the same process to evaluate what you want for your life that a company might offer you that would actually make you seriously consider their offer. If the answer is nothing, gently let that company down as soon as you discover this. Thank them for the offer and express an interest in keeping in touch for the future. If following your list of criteria still leaves you with several competing offers, you can use that as leverage to help decide which company to choose. What you don’t want to do with your potential employer is be pushy. It’s okay to let them know you have received other job offers. You don’t want to demand that they make you a better offer, or to imply that you won’t consider their current offer. The employer may just decide to go with another equally-qualified-less-demanding candidate. Don’t try to bluff a company into hiring you sooner at a salary you want. Bluffing could consist of creating a fictitious salary, benefits, or even a fictitious offer. They may ultimately call your bluff. And you’d be surprised how many competitors consort. The companies may be competing for customers, but the employees have frequently been co-workers and friends. You also don’t want to make unrealistic demands. For example, if you’re really interested in Company A, but Company B pays a higher salary, expecting Company A to match that salary may be unrealistic. Company A may not have the budget to match that salary and may instead offer you other benefits, such as a flexible start time, or the ability to work remotely. Be open to what a company can offer, and make the effort to determine if what they are offering has a value beyond salary. Potential employers want candidates in high demand, but they also don’t want to be manipulated or played against other employers. When you have competing job offers, narrow down the list of offers to a favorite company and a follow-up company. As for the contenders, go into negotiations with a very clear idea about what a company would have to offer you in terms of salary and lifestyle to entice you to accept. Be transparent and respectful of their time and efforts. Hiring is costly, and companies will appreciate knowing where they stand. Let your potential employers know that other companies are also considering you. Think about it this way: an employer doesn’t want to make an offer and prepare to hire you, only to discover you’ve suddenly turned down their offer without knowing why. You don’t have to go deep into detail with companies about competing offers, but give them a timeline of where you are in the process. Be careful with the question “Who are the other companies?” If you’ve been upfront up to now, they may believe you when you say that you’d rather not disclose that information. However, if you have been at all shifty, they will assume you are bluffing and manipulating and you’ll find yourself like Katie. Some companies, however, are conducting a confidential search, and you don’t want to look loose-lipped by divulging that, either. If it is not a confidential search, let them know with whom they are competing. If it is a confidential search, however, state so. They will appreciate your discretion. If a company really wants to hire you, they may move the hiring process along faster or offer you incentives to help you decide. Or you could be upfront (without being pushy) and ask if the company can provide additional incentives such as extra vacation time, transportation credits, a nicer office, or even a flexible work schedule. Do not ask for these things if you wouldn’t accept the offer. Making an offer work is time consuming and requires the effort of multiple people. Don’t put them through that if in the end, there’s nothing they could offer you that would make you accept. Once you’ve decided to accept a job offer, break the news to the competing company. Let them know you appreciate the offer and why you accepted another offer. Be kind and authentic in expressing how hard of a decision it was, and how interested you were in their company and opportunity. You don’t want to come across as rude or arrogant. It’s best to leave the door open for future opportunities or the chance to expand your network. Having multiple companies compete over you seems like an enviable position, and it is. Once our clients are there, however, they are surprised at how much pressure they feel to make the right decision. By using our tools and processes, and by playing the game with integrity, they ensure that they are not closing doors and limiting growth. Instead they are using the ultimate leverage to win now and in the long-term. 7 Days of LinkedIn Challenge: Can You Land in 2 weeks? 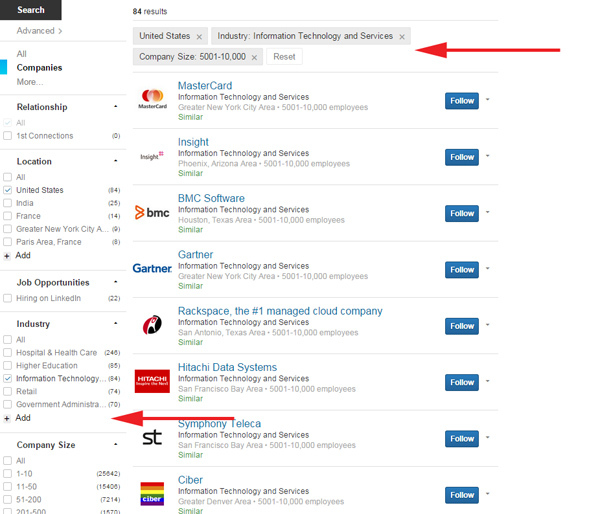 Job seekers often ask me if recruiters use LinkedIn to search for candidates. The answer is a resounding “yes.” Over 95% of recruiters use LinkedIn to find talent. 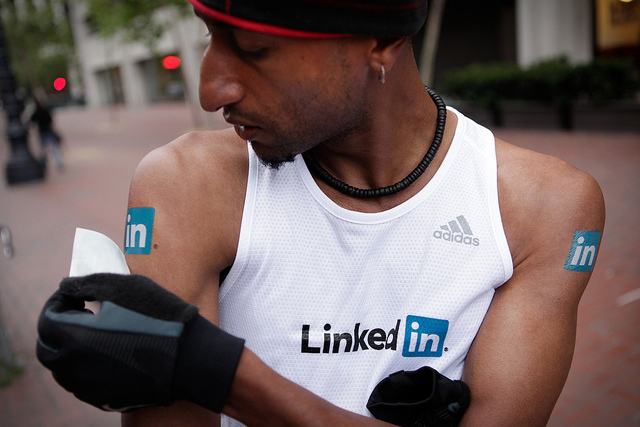 Amazingly, only 45% of unemployed job seekers have LinkedIn profiles. I collected data and wrote about my results in an article a few years ago, but the results are just as relevant today. 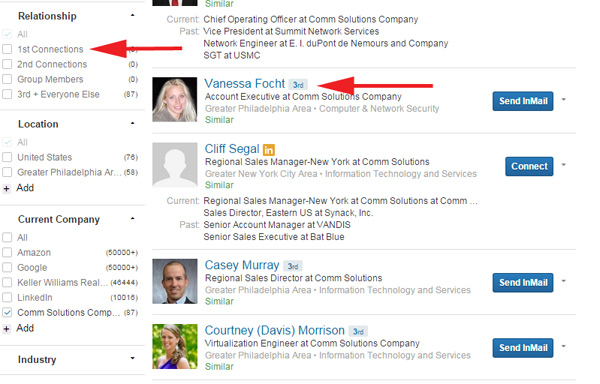 Needless to say, LinkedIn can be a valuable asset for your professional life. Furthermore, your presence on the network must be regularly maintained. If you want to easily find job opportunities or connect with others in your industry, then use LinkedIn often. The results can help accelerate your job search. Setting up a LinkedIn profile, fully completing your profile, branding and optimizing your headline (to get the maximum number of profile views), and making connections are great first starts. However, you can use the site for so much more. LinkedIn is a great way to keep track of your network, reach out to potential employers, be contacted by recruiters with enticing job offers, join industry groups, and to establish yourself as a thought leader in your industry. Everyday of the week you can do something different on LinkedIn in order to get real results in your job search. Think about getting multiple job offers, and dramatically reducing the length of your job search. Once your profile is complete and branded (if it already isn’t), then move on to our LinkedIn challenge. Select the “Companies” option here. After you select Companies, leave the search bar empty. Just click on the search option and this will bring up the entire list of companies on LinkedIn. There’s are well over 7.6 million companies on the site, so we’re going to need to trim this list. 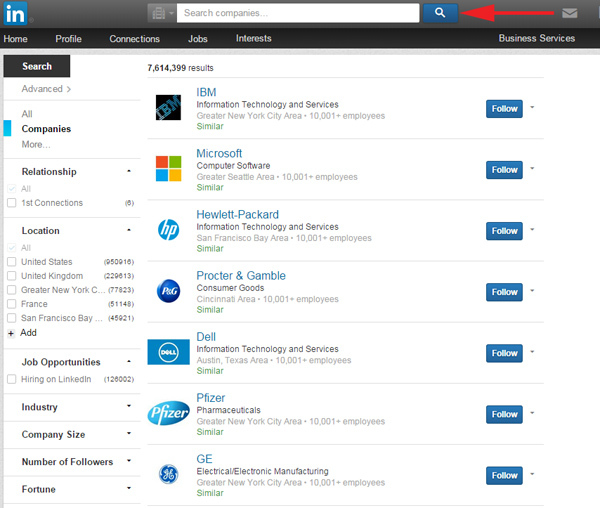 Leave the search bar empty and click on the search button to look for companies. The “Advanced Search” options are located in the sidebar to the left. If you have more than 50 results, narrow the list by using the options bar on the left. As you select each category, the list of results will become smaller. 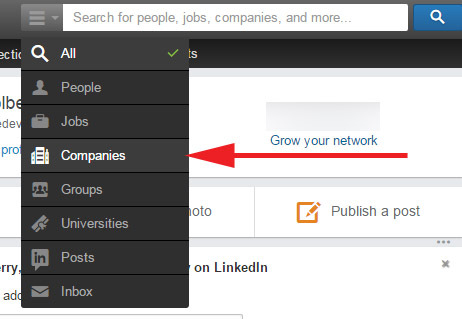 Tip: Avoid restricting your job search efforts by checking the “Job Opportunities” box, as you don’t want to limit your efforts to companies only hiring on LinkedIn. One of your goals is to establish relationships with individuals within companies who can present you with unadvertised job opportunities. The contacts, once rapport is built, will be providing insights that will enable you to qualify the employer further, and once you effectively portray your value, an introduction to hiring managers will be an easier request to make and fulfill. Listing companies on LinkedIn will return millions of results. Time to customize these search results! The “Relationship” option is a great tool for finding connections inside of a potential employer. These connections can make it easier to get an introduction to a hiring manager, especially if you have first degree connections. If you have a preference for company size, go ahead and choose the size of the companies you’d like to work for using the “Company Size” option. Company size can range from 1-10 employees up to 10,000+. Your search results will depend on the size of your network. Twenty five to fifty targets is a good number for your starting point. Everything in the left sidebar can be adjusted to your search needs. 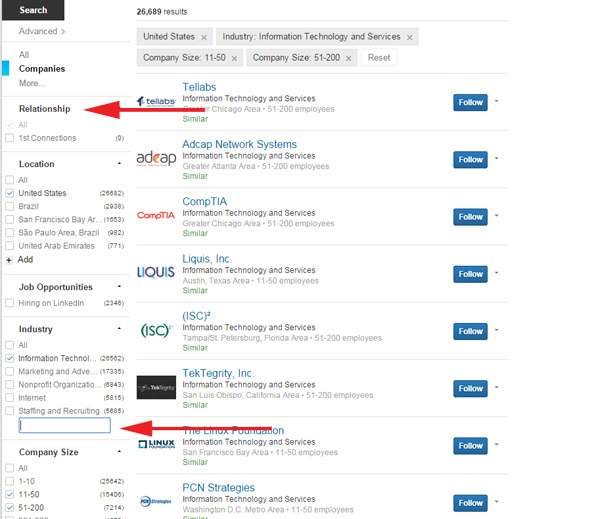 To further narrow the list, use the “Keyword” search to look for jobs within your industry. 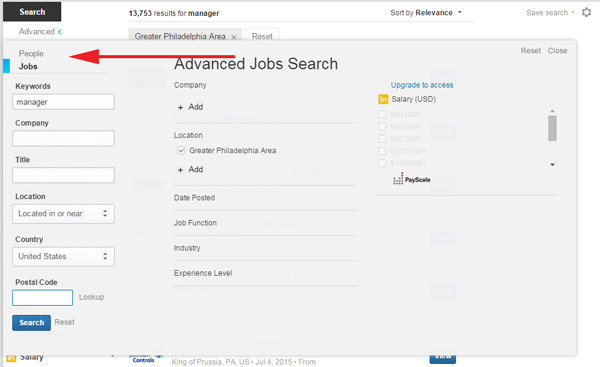 To find “Keywords,” click on the “Advanced” under the “Search” options, select “Jobs” and the Keywords options will appear. 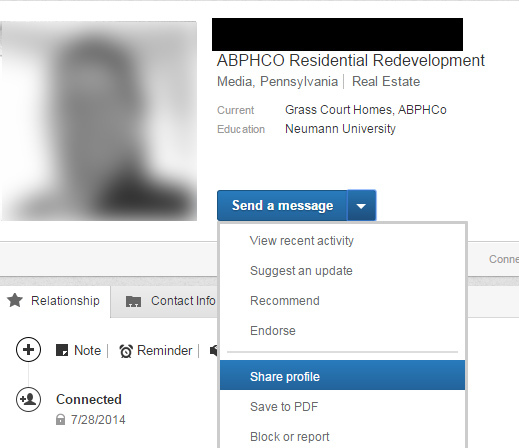 Click on a company’s profile and select “Follow” to receive updates and messages. You can also select “How You’re Connected” to search the company profiles for any associated contacts who may work within the company. Every company page has a “How You’re Connected” feature. Use this option to find useful connections. Your connections may consist of first degree contacts within a target. If you find yourself without first degree contacts, don’t worry. The “How You’re Connected” can help you to locate potential connections. In the list of employees, your connection degree will appear next to their name. Keep an eye out for 1st degree connections. Tip: When adding target companies, similar companies, and checking out the career paths of employees within those companies, ask yourself- “Where did they get recruited from?” These need to be included, but perhaps not together. It makes more sense to check out career histories while you are checking out people who work there or worked there as prospective target contacts. You can also learn more about your potential connections by checking out their profiles on other social networks and following them. 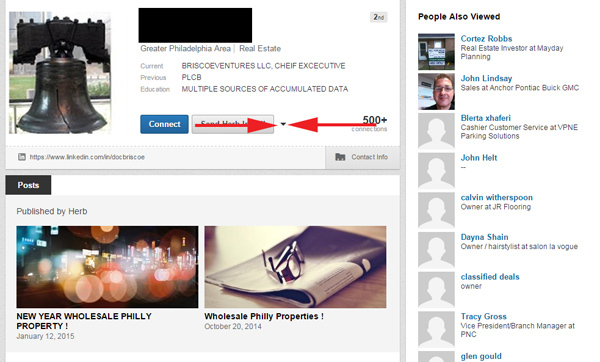 A person may even include links to their other social networks within their LinkedIn profile page. This information can be found in “Contact Info” right under their profile picture. The point isn’t to ask these connections for a job, or even if the company is hiring. You ultimately want your connections to introduce you to a hiring manager. Using LinkedIn to find hiring managers at your target employers is an ideal scenario. After all, they are the ones who will be responsible for giving you an interview and may even be your next boss. That said, don’t rule out other contacts within a company. All contacts related to a company are a potential source of valuable information and a potential point of entry into the company, as well as a potential sponsor who can help you garner the attention of and interest of a hiring manager. 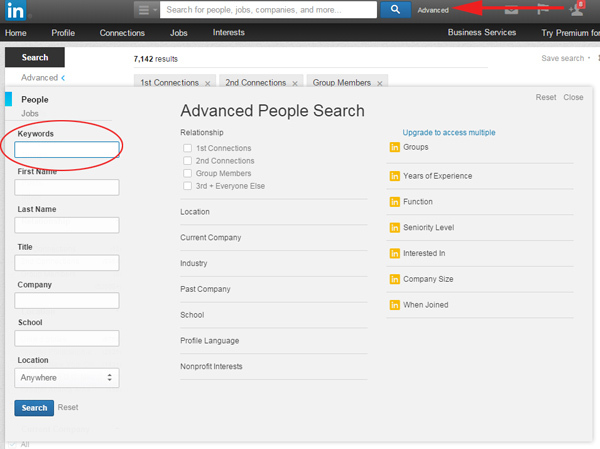 The Advanced People Search can help you find hiring managers. If you don’t know their exact title, use the Keywords option. Keywords related to function can help you generate results when you’re guessing between several potential titles. Include keywords that would be associated with their oversight of your role, like “KPIs,” “performance,” “development,” or “strategy.” Even if you come across a profile that isn’t a hiring manager, you can check “People Similar to X” or “People also viewed,” which can uncover new target companies, as well. Try using a Google search to cross-reference a hiring manager with titles at the company to be certain you have the right person. You can also use Data.com and Zoominfo.com to validate contacts or titles. Now that you have a list of target companies, contacts within the companies, and the names of hiring managers, you’re going to research them every Tuesday. You want to learn more about an organization to make sure that they meet your criteria. Your research will help you target people and companies more effectively. In my article, “10 Surprising Websites and 2 Secret Places Where You Can Research Employers” I detail various the websites you can visit to learn more about an employer. Use the information you gathered from the websites listed above and cross-reference them with your criteria lists. Your criteria lists consist of the conditions you want to take into consideration before proactively pursuing the target companies that fit your criteria. Your considerations can include your workplace environment, management, passions and interests, workplace flexibility, workplace culture, values, and even the types of relationships you’ll have with your co-workers. I wrote about using criteria to develop your ideal target company list and using criteria to identify your potential employers. Taking these steps will allow you to hone in on the companies you really want to work for and will leave you with very few surprises about your next employer. Employers also want you be knowledgeable about their company before you pursue employment opportunities with them. In our latest Epic Career Tales podcast, Emily Allen, Director of Employee Development at Seer Interactive, talks about how critical it is for their applicants to know something about Seer. Contact your connections on Wednesdays. Message or (better yet, call) your LinkedIn connections first, using any criteria you were not able to identify as an agenda. For instance, if you wanted to know more about company’s workplace culture, values, or the management style. You can find a connection’s number by checking the “Contact Info” section of their profile. If they don’t have a phone number listed, you may have to ask them for it. Alternatively, if you have their number, you can edit the Contact Info section and add a number. You may also be able to find their number by using Zoominfo.com or Data.com. Make sure you also ask the other person what they are working on when you contact them. This is an opportunity to help the person and to learn more about them, which demonstrates your value more than anything you can say. Offer ways that you can be of assistance. Ellen Weber, Executive Director of Robin Hood Ventures and Temple University’s Innovation and Entrepreneurship Institute, gave a specific example at her TEDxWalnutStWomen talk. In this example you don’t say, “Can I help?” or “How can I help?” You say, “Do you need a ride?”, “Do you need a referral?” or, “Is there something taking up too much of your time?” Find out exactly what your connection needs and help them. If you want to ask one of your connections to make an introduction to someone you’d like to connect with, a warm personal introduction is ideal. That said, you can use LinkedIn’s tools to take the pressure off of your contacts, and if they seem at all uncomfortable, offer ANYTHING that makes it easier for them to help you. 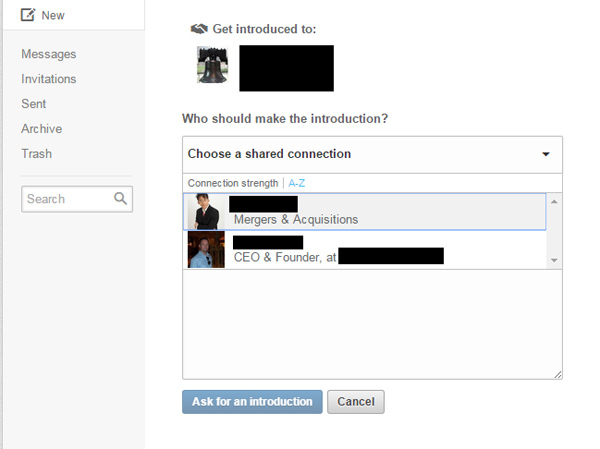 To initiate an introduction with a potential connection on LinkedIn, go to the profile page of the person you want an introduction to, then go to “Get introduced” link. Next, choose one of your first degree contacts to make an introduction for you. You can find the “Get Introduced” option in a person’s profile. It’s a small arrow button to the right of “Connect” and “Send InMail”. The drop down menu to find “Get Introduced” is a small black arrow. Once you click on the arrow button, a drop down menu will appear. “Get Introduced” will be the second option. Click this option and you’ll be taken to your inbox. There you’ll be able to select one of your first degree connection to make an introduction for you. Once you have your connection selected, write your introduction request. Jason Alba’s article, “Killer LinkedIn Introduction Request” further details how to write a great introduction. Before writing an introduction request targeted at a hiring manager (supervisor, or your next boss,) write a cover letter-quality letter to send along. Incorporate what you learned in research to craft your cover letter. Set Thursdays aside to help and engage with others on LinkedIn. Share great external content , start or engage in discussions, share jobs, comment on, or share posts. Sharing external content is a great value for your connections and followers, this content can be both educational and entertaining. It can consist of relevant news articles, personal stories from others, or great industry tips and tricks. Just remember to keep what you share appropriate and professional. If you’re passionate about an aspect of your industry, start up a conversation with your connections or within a group. These conversations can revolve around a topic in the news or an industry trend. (If you’re not passionate, get out of that industry!) If you see a conversation that interests you, join in. You ARE able to provide valuable insight to others while you’re engaging them about a particular topic- everyone has something of value to contribute. Sharing posts from the “Pulse” section is also a great way to bring value to your network, in addition to helping the author expand his or her audience. Sharing jobs is another great way to help someone in your network by providing them with information. 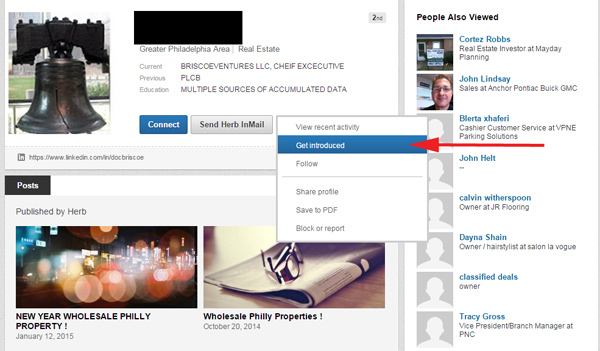 You can also share profiles with other connections to broker introductions for others. To share a profile, go to the profile of the connection you want to share, and select “Share Profile” from the menu under their name. Remember, LinkedIn is a great platform for personal branding, but you don’t want to use the platform to only talk about yourself. Reaching out to engage with others and to share valuable content can help establish you as a go-to person. Search for and invite anyone you know, but think outside your usual circles. Your usual circles include colleagues, bosses, classmates, vendors and others. To expand your network, consider anyone you are on a first-name basis with (you’ll need either the last name or their first name and some other search criteria such as company name, college, etc. )- personal service providers like your barber or dentist, neighbors, the cashier at your favorite luncheonette, the front desk attendant at your gym, etcetera. These types of connections are often overlooked, but they can be just as valuable as co-workers and alumni. They can provide unique opportunities that may not have been available through your regular circle of contacts. I previously wrote about how to tap into these resources to generate job leads. Fridays can also be the day that you send out invitations to people with whom you made a connection at networking events. If you had a meaningful conversation with someone at a networking event, reach out to them on LinkedIn. When you reach out to them, personalize your invitation so the recipient remembers where you met them, and that you’re serious about making a connection. Remember, the larger and more varied your network is, the easier it will be to find connections at potential employers and to generate momentum in your job search. Spend part of your Saturday getting better acquainted with people in your network. Send people who invite you to connect with your number and invite them to spend 15 to 30 minutes getting better acquainted and discovering how your mutual networks can support each other. Messaging people on social networks is one thing, but talking to them via a phone call can help build better rapport. Phone calls can add new dimensions to a relationship as it helps give communications a human touch. If someone seems to be a center of influence, meaning you can see they have multiple connections who can be beneficial to you, invest even more time and offer to treat them to coffee or a meal. Just think about what is lost in text-based communication, such as intonation, intention (sometimes meaning is lost in text-based communication) and how much information you can convey to another person in a period of time. Consider how much more of a connection you can make with someone when you are able to look each other in the eyes. You’ll get a better sense of the other person, and the more you know about your network acquaintances, and the more they know about you, the easier it is to support one another. How many new connections do you want? – Pick the number of connections you want to make each week. Feel free to experiment with the number until you find the amount that works for you. You may find that you’ll start with a big number to help you get better search results, and as you exhaust certain realms of your life, the number of connections will get smaller until you will rely on networking to add contacts. You want to make meaningful connections with people, opposed to adding people you don’t know. How many target companies to identify? – Targeting and researching companies is a time consuming task. You don’t want to tackle too many companies at once otherwise you’ll spend all of your time researching. However, you do want to target enough companies per week to create and maintain job momentum. You want a total list of 25 to 50 potential companies, but focus on 5 (if you’re working full-time) or 10 (if you’re unemployed). How many meetings do you want to schedule? – Meeting-and-greeting people is an important part of the networking process. Decide on how many LinkedIn connections you can feasibly meet with or talk to within a week. If you’re working full-time you can easily achieve 2 meetings per week, and have a stretch goal of 4 per week. If you’re unemployed, you can attain 6 meetings each week with a stretch goal of 10 per week. Our LinkedIn challenge can greatly help your job search momentum, help employers find you, and expand your network. Imagine being able to tap into your network through LinkedIn and finding opportunities at any job of your choice. Imagine the freedom to choose your next employer and negotiate your own salary. This is the power that LinkedIn can bring to you. Try our 7 Days of LinkedIn Challenge for 2 weeks, and comment below to share your results!